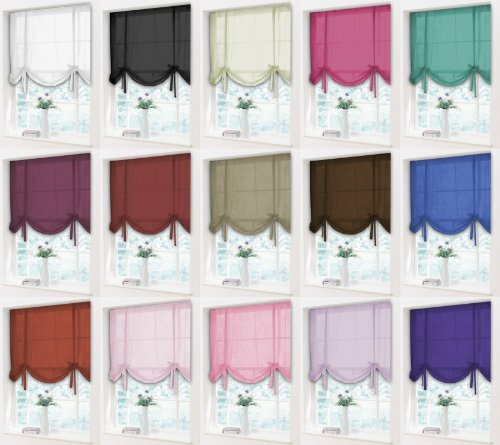 Beautiful voile tied blinds available in multiple colours. The tied blinds are finished with a slot ready for a wire or net rod. All tied blinds are 59″ wide x 54″ drop. Due to limitations shades may vary a little from those shown. NEW LOW PRICE – FREE UK P&P.